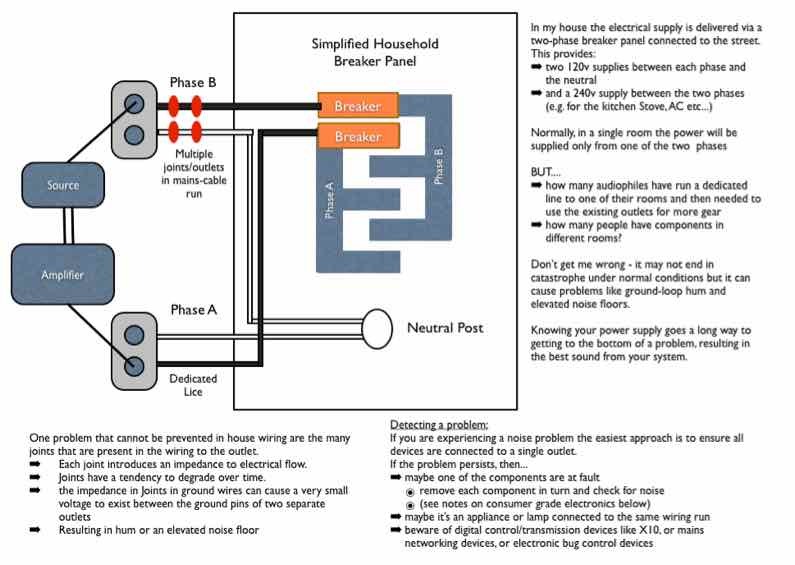 OK - so this is one of those areas where the whole "audiophile" world can go completely berserk with cables, outlets and plugs made from high priced materials and components to "purify the supply"
If you have the money to spend and the belief they work - by all means buy them. You've obviously done your homework! So skip this section. So, what are the power related items that you can augment or add to improve the quality of the power to a component? Many are primarily designed to protect computer electronics and allow you enough time to shut down your computer. I have read of success stories, but my attempts with my AV system have only resulted in failure. I definately WOULD NOT consider these for audiophile use at present. while you're doing that make it a 20 amp cable - your hi-fi will love you for it! 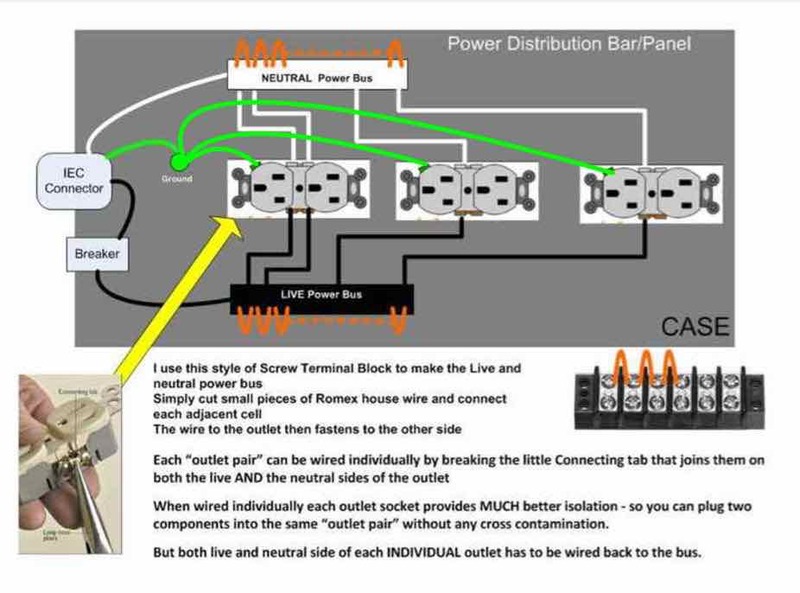 install a 20 amp Pass and Seymour MRI grade outlet - do not do this on a 15 amp line - IT'S AGAINST CODE! Why hospital grade? - they are manufactured to higher standards with better materials - but more importantly, they clamp on the pins of the plug so much better. Companies like Nordost promote the use of unfiltered power sources! Other companies make their bread and butter from them - so they think they are essential! Now, if you are not replacing your power cord - WHY NOT? didn't you read the section You Need Good Power Cords? the least you can do is replace the plugs/connectors? Because that crappy little cable that was meant for a computer has an even worse plug on it! you'll do yourself a favour and replace the power cord while you're at it! - mission accomplished! You'll just be wasting your money! There are also reasonably priced plugs with un-plated copper pins - is copper good? YES - VERY GOOD, IF YOU KEEP THE PINS CLEAN - annual cleaning required, especially if the outlet is on an outside wall! Price too good to be true? - be very aware of Brand Fakes! I also think that like any other component in the system you need to match the cable to its component e.g. So now you've got the outlets and power cables sorted - what's next? ADDENDUM: I now use a DIY Power Distribution Bar using Pass and Seymour MRI grade outlets and found the that the performance improvements in sound stage and micro details were well worth the change. What is a "Balanced Power Supply"? There are also "portable products: that plug into the wall outlet. As a general rule of thumb - never connect your component to the main supply via any device with a whimpy power cord!!! So what exactly is an "Isolation Transformer" then? NOTE: - from what I have observed, these units can be used in place of a power conditioner and do not appear to compress the sound. But wait - what about "Power Re-generators"? first let me say - there is no better power supply than that which comes out of the outlet - i.e. when it works right! however, if you live in an area that suffers constant power fluctuations/brownouts then you might want to consider one - wait, make that two! because of that I would recommend one unit for the source and one for the Amp(s). of course that also depends on how much power your system needs - One unit would be ample for my entire system. Expensive - yes, but how much is your system worth - bad power can destroy your investment - seriously! As a minimum, you should install a quality power distribution box to plug components into. The rest of the items talked about here will certainly improve the quality or the power in your supply, but they tend to get very expensive and are more of a "last resort fix" to resolve the more difficult power supply issues you might encounter!